A workforce profitability strategy is more than a hiring strategy focused on preventing employee churn. Instead of churn prevention as the objective, employee co-investment in business growth becomes the goal. How are you communicating to employees that they are part of something bigger than themselves? Not only are they part of your organization’s or association’s growth. But also, they become co-invested in your customers’ and members’ growth strategies, as well. Yet, a workforce profitability strategy flies in the face of many procurement-based hiring strategies. These legacy hiring models focus not only on scaling a workforce up or down, depending on overall workload. But also, these older models hire employees to fulfill specific functions within that model. As a result, employees find themselves segmented into either order-taker roles or revenue generator roles. One employee. One functional role. One specific set of output. What if an employee has the ability and desire to be both an order-taker as well as a revenue generator? Is not only your hiring strategy, but also your business model, flexible enough to give these often self-motivated employees permission to shine? More profitable workforces are created by focusing on interoperability, instead of multi-task oriented productivity. When I present workshops and speaking programs to organizations and associations, like yours, one theme continuously presents itself: a departmental staff’s ability to efficiently multi-task, or not. Employee performance often is assessed by the ability to multi-task efficiently. Not only does this model keep everyone humming along, productively, within existing corporate silos. Also, this model was created to serve within a mass production business model. 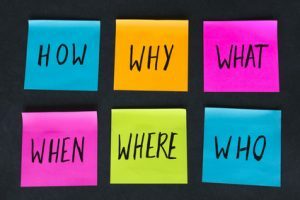 However, in today’s interconnected business environments, what happens when an employee wants to learn more? Where does her output “go,” upon completion? And then what happens next, and after that? Her imagination, and career plans, move her outside the confines of existing functional silos and productivity measures. Tomorrow’s workforce profitability strategy focuses on employee interoperability across functional roles and departmental silos. Rather than multi-tasking, the goal is developing an interconnected workforce. Consider the impact on this model on employee experience. Employees understand how what each one of them “does” adds value to what everyone else “does.” That concept is a human capital strategy, rather than just a hiring strategy. Consider the impact on an employee’s ability to multi-task when he understands the “why” of the tasks and knows “who” receives his output. Not only that. When employees know who their internal stakeholder counterparts are, and understand how their functional roles complement each other, they communicate. Processes are improved and there is less workload redundancy. Which in and of itself is more profitable. Everyone wins, when employees are given permission to shine. Think of the aggregated impact of engaged employees on customer experience, customer success and customer retention. Make a workforce profitability strategy the norm, rather than the exception. Babette Ten Haken is a business growth and customer retention specialist. Her One Millimeter Mindset™ speaking programs and workshops improve communication in organizations with disparate or siloed groups, especially in industries with technically-focused stakeholders. Her playbook of communication hacks, Do YOU Mean Business? is available on Amazon.com. Babette’s speaker profile is on the espeakers platform. ©2019 One Millimeter Mindset™ / Sales Aerobics for Engineers®, Ann Arbor MI. I appreciate it when you share the link to this post on social streams. To re-post or republish the content of this post, email babette@salesaerobicsforengineers.com for permission and guidelines. I thank you for respecting my intellectual capital.